Manchester is a vibrant Metropolis famous for its football teams, culture and shopping. Some of its famous ex-residents liked a tipple too – George Best and those Mancunian lads who wrote Champagne Supernova – they may have liked one of our Champagne Tasting Packages! Whether your wine tasting in Manchester is an excuse to celebrate with friends at home or away or for corporate entertainment with colleagues or clients, we have a number of different wine tastings to suit your needs. Whatever you’re looking for ThirtyFifty have a number of different tastings and formats from pure entertainment to educational with the most important element always being about having fun. All from ThirtyFifty the award winning tasting company! We run regular evening wine tastings in Manchester. Our 2 hour evening sessions are educational and fun, ideal for anyone with an interest in wine. We also include a delicious range of canapés to accompany the wines. Below are our forthcoming events. 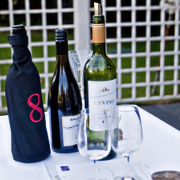 From time to time we have special offers for some of our wine tasting evenings and days. Check below for any current promotions! If you are looking for a venue for your wine tasting we have worked with a number of venues in Manchester that we are happy to recommend. The list below highlights our most popular wine tasting venues in Manchester, to see our full list of venues across the country please go to our venues page. Typically the travel cost to come to central Manchester is £30-£40, but this is subject to the availability of our local team.